However, by no means is it under served as there’s enough grunt below 2,000rpm to make smooth headway. City speeds of 40-60kmph can be hit without much throttle input, since the peak torque is delivered from as low as 1,750rpm. Thanks to the healthy low-rev performance, it’s also easy to get a good fuel efficiency figure, with our tests getting us 19.04kmpl in the city and 23.87kmpl on the highway.The best way to pick up the pace is to shift up around 2,800-3,000rpm. Revving the motor further makes it feel strained and get louder, but power tapers off quickly. 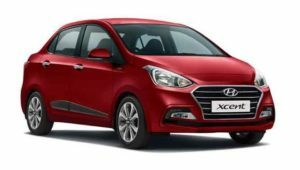 There’s no use of teasing the redline with this engine and while rivals like the Aspire and Ameo offer exhilarating performance, the Xcent gives you exactly how much you need – nothing more, nothing less. All said and done, the updates do make the Xcent better as a package. On the whole, it does seem better equipped to take on the competition. More importantly, the facelift comes just in time as Tata is dialling up the heat in the form of the Tigor and Maruti Suzuki has the all-new DZire on the horizon. With prices starting at Rs 5.38 lakh for the base-spec petrol and going all the way up to Rs 8.42 lakh for the top-spec diesel, the little sedan from Hyundai does seem like a no-nonsense choice if you need nothing more than a comfortable sedan for commuting within the city.